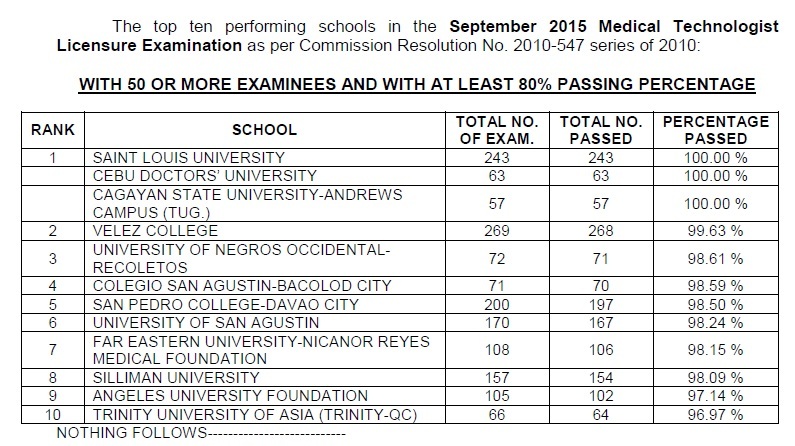 The Professional Regulation Commission (PRC) on Wednesday night, Septemner 16 officially announced that 4,048 out of 4,840 (83.64%) passed the Medical Technologist (Medtech) board exam given by the Board of Medical Technology in the cities of Manila, Baguio, Cebu, Davao and Lucena this September 2015. 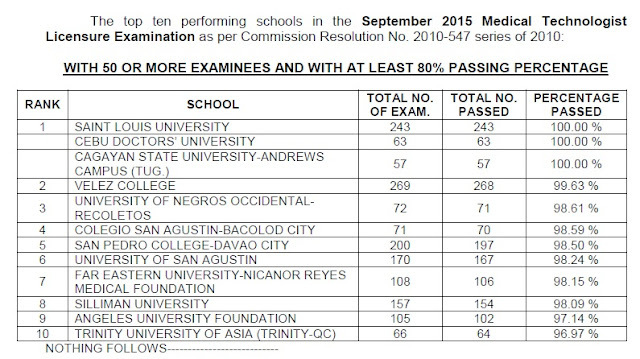 PRC named Saint Louis University (SLU), Cebu Doctor's University (CDU) and Cagayan State University (CSU) as the top performing schools in the September 2015 Medical Technologist Licensure Examination as per Commission Resolution No. 2010-547 series of 2010.